Product categories of SMT Feeder, we are specialized manufacturers from China, SMT Feeder, SMT Tape Feeder suppliers/factory, wholesale high-quality products of SMT Feeder Parts R & D and manufacturing, we have the perfect after-sales service and technical support. Look forward to your cooperation! 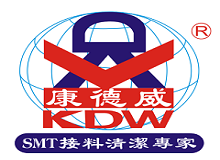 KDW offers a wide range collection of SMT Feeder sheltered at our feeder warehouse. KDW maintains the largest feeder warehouse in China today. We have the best and professional warehousing and maintenance control team to make sure that all our feeder stock are stored and maintained properly. Our SMT feeder collection includes all types of feeder units for all SMT Machine brands and models. We offer original-brand new feeder units We can cater bulk orders and you can be sure that all the feeder units coming from us are all ready for use. Our company assures that all our feeder units are well maintained And pass strict quality assurance process.